Hyderabad: Contrary to the speculation over Cabinet expansion on Vasanta Panchami, an auspicious day, didn’t take place and suspense over it continues as senior TRS leaders are also clueless. Now, aspirants in the TRS party look for next possible dates for Cabinet expansion. February 17 is birthday of TRS supremo and Telangana chief minister K Chandrashekhar Rao. So may be February 24 (2+4=6) as it’s KCR’s lucky number and it’s Ekadasi, another auspicious day, observe political analysts. However, TRS senior MLAs are optimistic of Cabinet expansion before Budget session. So far all these expectations and speculations remain a mere guessing work only as no one knows what’s rolling in KCR’s mind. On the other hand, opposition parties and Telanganites are also eager for Cabinet expansion as it’ll speed up the activities of several departments in the state. On the other hand, KCR has been busy with review meetings with the officials of several departments to ensure the smooth functioning of the government mechanism. 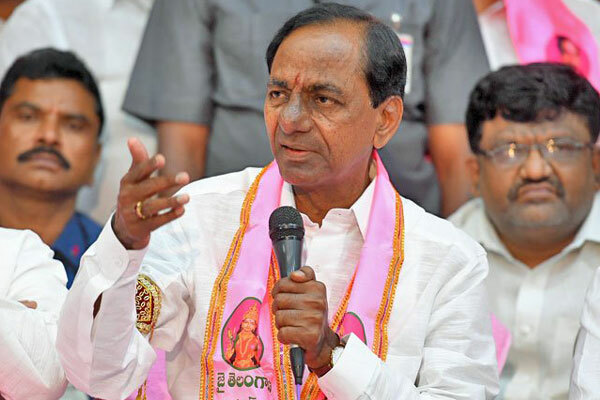 TRS won 88 out of 119 Assembly seats in Telangana on December 11, 2018, and two days later, KCR took oath as chief minister for the second term and former deputy CM Mohamood Ali as home minister. Telangana TRS government has been continuing with CM and one home minister only for the last two months. Many including media expected Cabinet expansion after Sankranti and later speculated the date after five-day Chandi yagam. Subsequently, it was Sunday, Vasanata Panchami day. This is also over. Now, all eyes on February 24 and let’s wait and see.